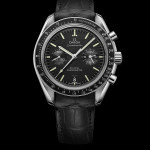 Since it was launched more than half a century ago, the OMEGA Speedmaster has defined the classic chronograph. 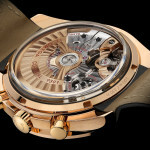 It is rugged and reliable and has a timeless design. And since the day in July 1969 that it was first worn on the lunar surface, it has been known by its nickname, the Moonwatch. 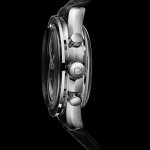 Now Omega introduces a new model: the Speedmaster 9300. 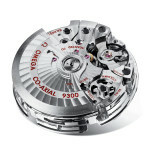 This year, an innovative new member of the family is being introduced, equipped with the OMEGA Co-Axial calibre 9300/9301 – the Speedmaster 9300 OMEGA Co-Axial Chronograph. 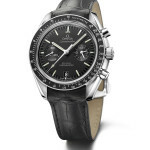 While it shares some core elements with the original Speedmaster Professional – the black dial, the Moonwatch-style hands and the familiar black tachymeter on the bezel – it also has some distinguishing features that will attract an even wider audience to the world’s favourite chronograph. 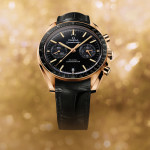 The Speedmaster OMEGA Co-Axial Chronograph’s elegant, slim body is the result of a unique design concept: it has a box-form scratch-resistant sapphire crystal not only on the front of the watch but also on the polished screw-in caseback. 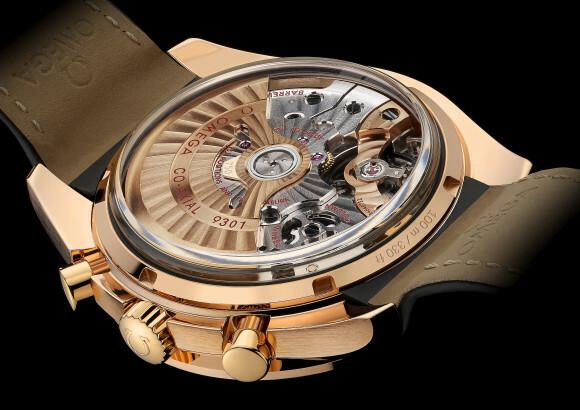 The latter, with anti-reflective treatment, reveals perfectly the beauty of the movement. 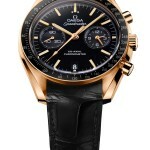 The Speedmaster 9300 OMEGA Co-Axial Chronograph is also offered in stunning 18 Ct orange gold with a black ceramic dial and in elegant 950 platinum with a black enamel dial, both with 18 Ct gold applied indexes and hands. 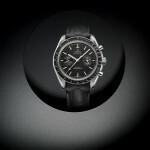 This entry was posted in Press Release, Speedmaster Automatic on March 31, 2011 by Dale Vito.